On a recent episode of The Truth about Money, Ric Edelman mentioned that one of the key principles of their financial advising practice is that “budgeting is a waste of time.” I really respect the financial advice I’ve heard on his radio show and read in his books, particularly their argument to keep your mortgage forever. Therefore, it was a little surprising to me to hear them say that such a bedrock principle of my money management system is a waste of time. Ric and his co-hosts didn’t expound on that comment at that time, but based on what I’ve heard on his program at other times, I think I can guess at the reasoning behind saying that budgeting is a waste of time. If you pay yourself first by making sure that you are saving at an adequate rate, it doesn’t really matter how you spend the rest of your money, assuming that you aren’t overspending. 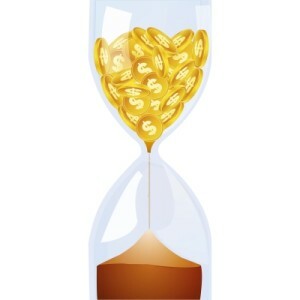 You should put in the effort to determine your necessary long-term saving rate and where to invest it, and then after that don’t put time or emotional effort into the details of your finances. Depending on the situation, the budget doesn’t need to be highly detailed. You can just add up your fixed expenses, an average of your variable non-discretionary expenses (e.g. utilities), and estimate your variable discretionary expenses. For instance, you may have a set amount of money that you spend on groceries, eating out, drugstore items, clothing, and entertainment each month. It doesn’t really matter how exactly that money was allocated as long as you didn’t overspend your limit. So a budget doesn’t have to be very detailed and broken down to the finest level to be helpful in letting you know how you match up with something like the balanced money formula or another percentage-based way of determining where you income should go. I don’t think that budgeting is a waste of time for us. We could easily spend everything we make between having a low income and each of our areas of preferred spending (Kyle on electronics, me on food and clothes). We also have rather aggressive savings goals for retirement and into our targeted savings accounts. Our budget absolutely helps us live out our priorities by showing us the balance we have to strike between day-to-day indulgences like eating out and couple-times-per-year indulgences like travel so that we can meet our long-term savings goals. Do you budget? For whom do you think budgeting is a waste of time? Has your budgeting style changed over the years? 44 Responses to "Budgeting Is a Waste of Time"
When people say stuff like that I wonder if they realize how little time budgeting actually takes once you have a system. We use mint for our budgets. It’s on our phones so it’s super easy and quick. It takes so little time that we don’t even pay attention to it most of the time because the budget levels were built around our “happy levels” of spending. Whenever we publish our income statements, people always comment with how impressed they are at how much insight we have into our spending… but those statements literally take about 2 minutes to put together each month. Such a small time investment for what we feel it brings to our finances. I couldn’t zero-dollar budget and have it only take 2 minutes. I could increase the mint categories to much bigger than our current average spending and then budgeting would take no time, but I suspect that would encourage me to spend more. So personally I hate budgeting, it takes a lot of time, provides a bit of stress, and I suspect it increases rather than decreases our spending. I’m a natural saver and DH has an allowance. I’m much happier when we earn a lot more than we spend and I don’t have to think about the minutia or worry if we’re over budget in one category or feel like we can spend more if we’re under-budget elsewhere. It sounds like you have a personality and financial picture that is very compatible with opting out of budgeting. It’s all about knowing yourself! I agree that budgeting can take very little time if you want it to. Tracking probably used to be really time-consuming but now it’s a breeze as well. Our spending reports don’t take terribly long to put together, either, and that’s with double-checking everything that went on that month. I think your point about budgeting around what are your natural happy spending levels anyway is why it isn’t time-consuming for you (and we do the same). You don’t have to constantly be concerned that you’re about to exceed your budget in some category. Though I guess with RE’s system you would need to make sure you haven’t exceeded your overall amount of money to spend for the month. Alicia recently posted..Yakezie Challenge – One Month Later. But maybe RE is really saying that it’s OK not to budget if you are paying yourself first AND you are working with a financial planner like him? Because the planner could probably tell if you are squandering a lot between your savings rate and your mortgage payment alone. And yeah, I think there is the thinking that nothing matters after you meet your long-term savings goal. However, my personality is to have lots of subsequent goals that would then necessitate a budget! There is usually sophistry behind blanket statements. When deciding whether anything is beneficial or not, one must weigh the incremental cost to participate in the activity versus the incremental rewards. Thus, the question is not whether people can live below their means and save money without a budget. Of course many people can do that. The question is whether the extra time spent budgeting results in additional savings and additional understanding of your financial picture, such that it was worth that time spent. We have a fairly elaborate budgeting system that takes all of 1 hour per month to perform. Are the benefits of this worth more than the hour per month we put into it? I won’t speak for others, but I can certainly answer in the affirmative. I guess other people find the process of budgeting so onerous that the incremental benefits aren’t worth the slight optimization increase. It does take a while to get it to the 1-hour-per-month stage so perhaps they give up before that point. Or maybe it’s not really the time-consuming-ness but the feeling of being restricted that some people get? Many years ago Liz Pulliam Weston had an amazing article on who doesn’t need to budget. Sadly it’s no longer available on the internet. But essentially it boiled down to, if everything on auto-pilot means you’re saving at least 20% of your income and you have a nice emergency fund and no high interest debt (she may have had an amount of debt in there too, I dunno), you’re good to not budget anymore. I’d add to that: and you never overspend that 80% (+ your buffer). But yeah, that sounds like a pretty good financial place to make budgeting optional. I suppose that does make sense if everything is automatic. I think tracking is good for everyone, but budgeting and setting categorical limits probably is excessive if your disposable income is higher than your spending desires. I agree. There can be so much automation that the line between tracking and tracking+budgeting could be very small. I hope that the people listening to RE do track because it is so easy! That sounds like something someone with plenty of money would say. I appreciate having enough money to not budget every dollar, because a bit of flexibility actually does help with quality of life for a worry-wart like me, but that’s not always possible. Haha, yes I think RE does have plenty of money and generally works with people who also make a lot of money (even if they aren’t saving well yet). I actually never budgeted until I got my full-time job after college. I always tracked my spending though. My current budget actually evolved from a list of all of my fixed expenses and then other expected expenses. I’ve finally stopped budgeting for clothes and made them out of budget because otherwise it was just a ticket to spend money on clothes, oops. Budgeting can have that opposite effect on different personalities – feelings of restriction or feelings of permission to (over)spend! So interesting. And yeah, a bottom-up budget doesn’t need to be much more than a list of typical expenses, especially if like you the rest goes to savings/mortgage paydown. I don’t budget in categories, I save in categories. So I try to save for my health insurance’s annual premium, for all my regular bills greater than $50 (less than that, I can absorb in my weekly money), for holidays and for the future (ie a lump sum for my remortgaging). That’s an interesting twist on the basic budget, and one we use in combination with a basic one. It’s more of an anticipated spending plan, I suppose. Not a waste of time, IMO! I could see how budgeting might be a waste of time for those who far out earn their monthly expenses. We budget every month and it doesn’t really take us that long. We have a system in place so that I can put our budget together in less than 10 minutes. Plus I like knowing where our money goes. Even if we had abundant income, I’d still want to track our spending patterns. I think the tracking is vital for whenever you might want to start budgeting for a new goal or maybe you have a life change. Our system is pretty time-efficient now, too, but it wasn’t that way in the beginning. When we have a much higher income, I doubt we’ll budget the same way we do not but I think we will still have some system in place. I think the saver mindset is key to making budgeting optional – yet it is probably the spenders who are most averse to it! Particularly when you’re not earning any money you probably naturally keep from spending as much as a budget would. I have put a budget together, but we do not strictly adhere to it. As long as our monthly savings are more than we need to reach our retirement and savings goals, spending is no big deal. Then again, if it appears that our spending is increasing, I want to have the numbers to sit down with my wife and discuss our goals. Sounds like you could keep up the tracking but easily dispense with the budget. That’s great! Even for a single high income earner who lives far below his means (I sort of fall into that category), I think budgeting is useful. It gives you a frame work even if you bust through a category every once in a while. But maybe RE’s vision of budgeting wouldn’t allow you to bust the budget and that’s what he’s opposed to for those who far out-earn their spending? Wow, I can see Ric Edelman and I might not see eye to eye. I’d rate the two most beneficial financial choices we’ve made as 1) paying off our mortgage early and 2) budgeting! Oh well, I do agree that customization is key and no strategy is necessarily right for every person. Yeah, you probably wouldn’t want to employ his firm as your financial advisor. 🙂 Very different opinions. But like you said, in PF there is room for diversity. Personal finance is personal, after all. The itemization and restrictive nature of a budget is just what some people need to meet their savings/spending goals. (I do.) Other people might prefer setting a savings percentage and then spending the rest in any way they want. That wouldn’t work for me though and, besides, that approach is clearly not optimal from a savings perspective. I guess it depends if your goal is to eke every possible dollar out of your income toward savings (like if you are shooting for ER). Not everyone has that goal, and I guess maybe they earn enough to want to not stress about their spending when they know they are meeting their long-term saving goal. I don’t really even see our budget as restrictive anymore, though it was at the beginning. We have a budget but its very vague. We often go way over budget, however the budget is after maxing out retirement and setting an additonal 10% aside. I don’t sweat our budget too much. I think a loose budget – guidelines – is a great in-between solution. You keep your foot in the budgeting world without letting it stress you out. How can he define “not overspending” if there’s no budget? If you don’t track your expenses and don’t understand your HABITS, it’s impossible to make a clear assessment and get the most of your paycheck. Since I have started keeping an eye on our money, we improved our savings rate and how we spend money. And we’re not into debt or doing badly, but this has helped us even more. If you’re already saving 60% of your income, it may not be worth your time to save another 10%. You don’t have to be a billionaire for that to be true. It just depends what your goals are! It might be more difficult with variable income, but it’s pretty easy to know if you’re overspending your pay if it’s regular – your checking account goes to zero. 🙂 Even people who don’t track, if they are responsible, will keep their eyes on the bottom line. I totally agree budgeting can be beneficial, but maybe the ROI isn’t worth it for some. I think that those who are disciplined enough and live within their means don’t necessarily need to track down to the last penny what they spend. However, not everyone has that discipline. For those that aren’t, budgeting is the way to go. I’m disciplined enough that I don’t need to budget, but I do it anyway. At first it took a while and it was no fun. However, once I saw how I was spending my money, I saw I can become even better. I saw I could save more. 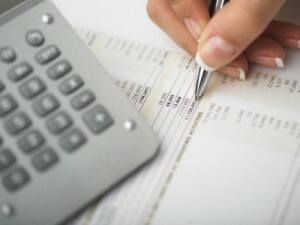 I now make better informed decisions about my finances when I know how I use my money. So even if you don’t regularly follow a budget, everyone should track their spending for a month, at least once, so they can see how they are truly spending their hard earned cash. That is a good point – those who don’t need to budget are the most likely because of the similar personality traits! I think it’s a good idea to do an occasional check-in with tracking even if you don’t budget full-time.